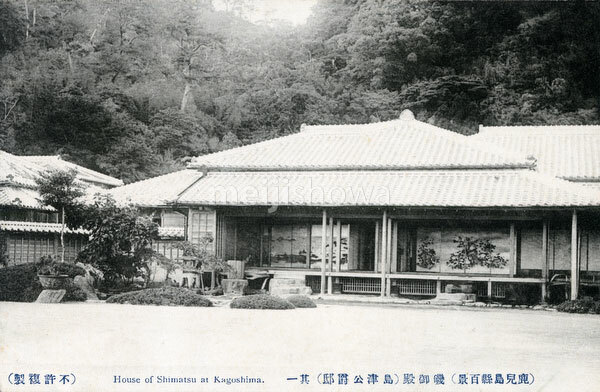 Iso Residence at the Iso Teien (磯庭園) in Kagoshima. The residence and the garden were constructed in 1658 by the Shimazu (also Shimadzu) Clan, one of the most powerful feudal clans during the Edo Period (1603-1867). The building in the photo is a reconstruction of the mid 1880s.